Other than a blender, I think that a coffee grinder is probably one of the loudest kitchen gadgets that you can own. Even if you have never owned one yourself, you have probably been in a grocery store or coffee shop when one is in use. Yeah, you can’t miss that sound. When you think about what this coffee gadget does though, it is no surprise that is makes a heck of a lot of noise. 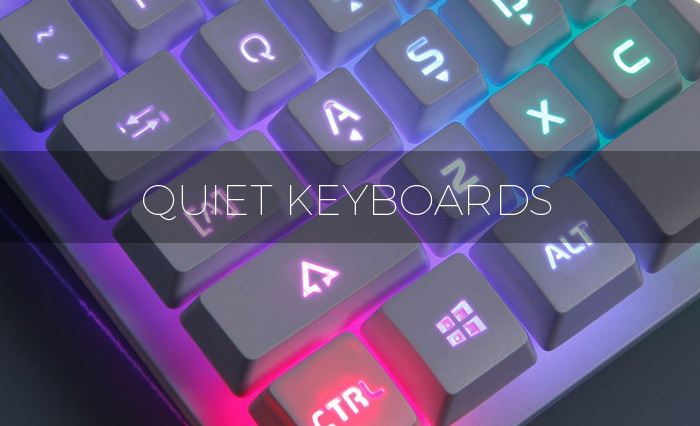 That being said, there are some models that are quieter than others. My first coffee grinder was a cheap Mr. Coffee one that I got off Amazon for a steal. At the time, I was not aware that some of these things make deafening sounds when you’re grinding beans. And since you want to grind your coffee beans right before you make your coffee, that means lots of loud noise in the early morning hours when other family members or roommates are still trying to sleep. To give you an idea of what I’m talking about, I found a video on YouTube where someone runs one of the Mr Coffee grinders. Check it out below (first grinding is at about 1:28). The Mr Coffee model that I owned was not either of the two in the video and it was MUCH louder! Needless to say, that model only lasted a few months in my house before I had to replace it with one that makes less noise. Finding the quietest coffee grinder for the money is not as easy as you might think. A lot of manufacturers claim that their grinder is quiet or doesn’t make a lot of noise, but I found that to not be true in all cases. As you may know, there are different types of grinders out there, but I prefer the burr grinders so that is what I shopped for when doing my comparisons. Most coffee drinkers will agree that the best cup of Joe is brewed with fresh ground beans. And with the growing demand of the perfect brew, connoisseurs can now find an array of coffee grinders to fit their needs. Today you can find numerous types of coffee grinders. On the whole, there are basically three types of grinders – hand grinders (manual), blade grinders and burr grinders. Hand grinders or manual grinders are the quietest since they do not have a motor. Hand grinders are also the most economical. Although hand grinding may seem rather tedious and inconvenient, it is one of the most ritualistic ways of grinding coffee in European countries. This is because it is a more personal experience that ensures you grind the amount of beans needed for your cup of brew. Compared to electronic varieties, manual coffee grinders are more reliable. Not only can you count on them when the electricity fails but they have a more simple design with fewer parts that fail. Moreover, hand grinders deliver a more uniform and consistent grind then even the most expensive electronic devices. Top of the line hand grinders generally utilize ceramic or stainless steel burrs to crush your coffee beans. In addition, the top quality grinders are encased in glass or wood. Blade grinders are one of the most popular. They are like tiny blenders that can rotate their blades at high RPMs. The high speeds pulsating action allows the beans to be ground in a matter of seconds. Although the quick action grinding can save time, the fast speed can create heat from the friction. 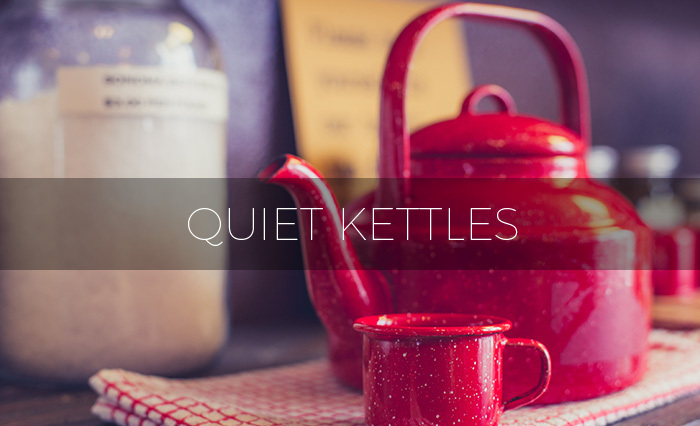 Unfortunately, heat pulsation causes oxidation which can affect the flavor of your coffee. In addition, blade grinders do not generally have a uniform grind. This is because the blade only contacts a tiny portion of the bowl while grinding. The lack of uniformity will often affect the flavor of the brew. Bit all in all, the blade grinder is quick to grinding your coffee and has a reasonable price. Burr grinders are electronic mills that utilize burrs to pulverize the coffee beans. According to many experts, they are the “cream of the crop” or top-of-the-line coffee grinder. They have the largest class, have numerous features and are most expensive. In fact, many connoisseurs agree that burr grinders are superior to other types of coffee grinders. • Blade grinders use the same bowl for grinding. However, burr grinders utilize a separate bean container called a hopper. The hopper is an air-tight compartment that stores your coffee beans in between grindings. • Blade grinders keep the beans within the grinding container. while burr grinders generally transport the coffee into a chute. When finished, the grounds are deposited from the shoot into a container. Some of the fancier versions will transport the grounds directly to a coffee filter holder. • Another feature of the burr grinder is that you can easily adjust the coarseness of the grind. Whereas, blade grinders have no settings for coarseness. The burr grinder settings consist of a variety of coarseness adjustments that accommodates different grinds for specific brews. The size of the grind is determined by modifying the size between the two burrs. As a rule of thumb, the closer the burrs are together, the finer the grind. Here’s the best quiet coffee grinders on the market. Have you been looking for a sleek, quiet, and attractive coffee grinder that can give you the tasty coffee grind that you have been yearning for? If yes, JavaPresse’s manual coffee grinder would be an option to consider. JavaPresse manual coffee grinder is constructed from high-grade stainless steel, a durable frame that can resist the wear and tear resulting from regular coffee grinding. The coffee grinder also utilizes ceramic combo burrs that can last five times longer than the steel blades used in most coffee grinders. 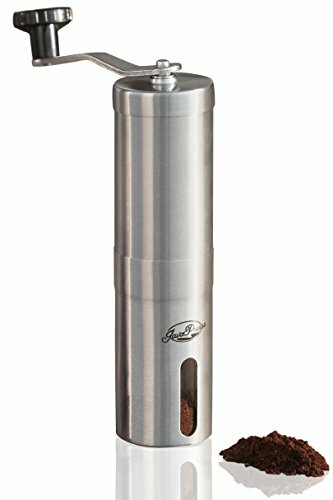 Most coffee lovers regard JavaPresse manual coffee grinder as an excellent option for hiking, camping, or any other outdoor event since it does not use electricity or batteries. Its compact size and lightweight consume less storage space in your backpack or travel case. Different from some noisy electric grinders, this manual type utilizes a hand crank mechanism that runs silently. 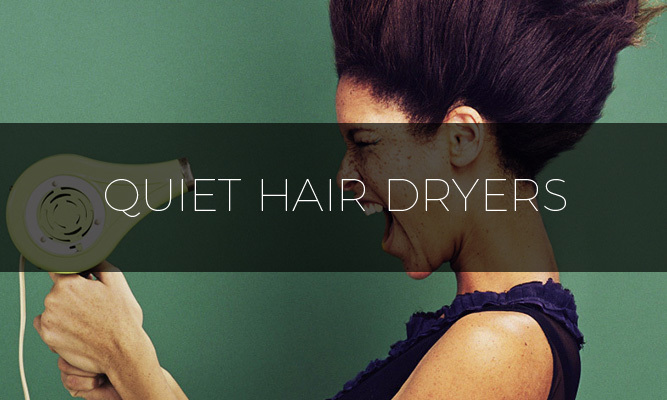 In fact, the unit is 90 percent less loud than most electric coffee grinders. 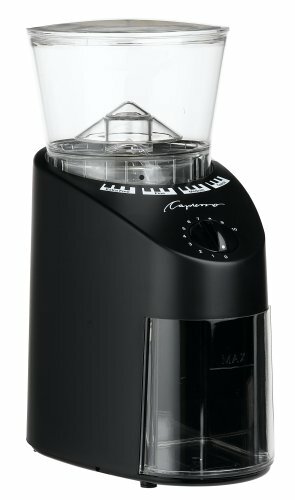 JavaPresse coffee grinder has an integrated grind selector with eighteen different settings that let you regulate your coffee’s coarseness according to your unique coffee brewing needs. It comes with a user manual and money back guarantee. The KitchenAid coffee grinder is another excellent option that can help you produce fresh coffee ground that you can use to make your favorite coffee drinks. This coffee grinder is constructed from stainless steel with an empire red, espresso, or onyx black finish. The variation lets you purchase a unit with your most favored color. 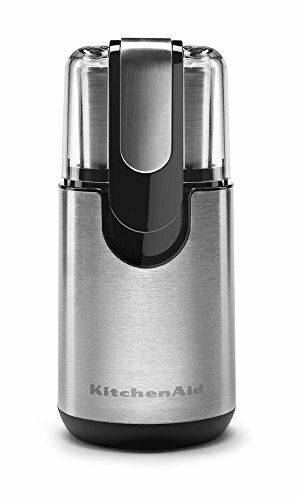 KitchenAid coffee grinder utilizes study stainless steel blades to grind your coffee beans into the texture you want. Its heavy-duty motor delivers a powerful performance that lets you produce enough coffee to make 12 cups of beverage in one go. Unlike some coffee grinders that are quite cumbersome to use, KitchenAid coffee grinder’s one-touch control eliminates the hassle. The straightforward operation entails pushing down the unit’s clear top cover to start grinding and releasing it to stop grinding. The KitchenAid coffee grinder has a calibrated removable steel bowl that lets you grind the appropriate quantity of coffee that you need to make your beverage. The bowl has markings for 4, 8, 10, and 12 cups of coffee. KitchenAid coffee grinder’s bowl lifts out quickly to let you transfer the grinds as well as clean it. The unit’s powerful motor runs silently, and its one-year replacement warranty gives you the freedom to return the grinder if it fails to work as advertised. If you want a good, quiet burr grinder under $100 – $200, then I think that this Capresso 560.01 Infinity Burr Grinder is your best bet right here. In fact, this is the model that I ended up keeping in my kitchen. That being said, it is not the best that money can buy, but still a great value for the money and probably the cheapest quiet burr coffee grinder on the market (of those that I’ve tried). If you want a quiet, compact sized coffee grinder that can help you produce enough grind for your beverage within the shortest time, then Capresso infinity conical burr would be an ideal option. Capresso infinity conical burr is constructed from a heavy-duty die-cast zinc to withstand the wear that results from regular coffee grinding. The coffee grinder is available in black and stainless color finishes letting you purchase a mill whose finish pleases you. The coffee grinder utilizes a powerful but quiet 100- watt motor and commercial grade conical burrs to grind 8.5 ounces of coffee grinds for as short as 60 seconds do. The short grinding time preserves the coffee’s aroma and flavor. Depending on your choice, you can adjust the unit to 16 settings to produce coarse, regular, fine, or extra fine grinds. A built-in electronic timer lets you set the grinding time from 5 to 60 seconds. Therefore, you do not have to operate your grinder since it will switch off automatically after the set time elapses. The coffee grinder is compact, and it weighs around 8 pounds. The two qualities make the grinder portable. 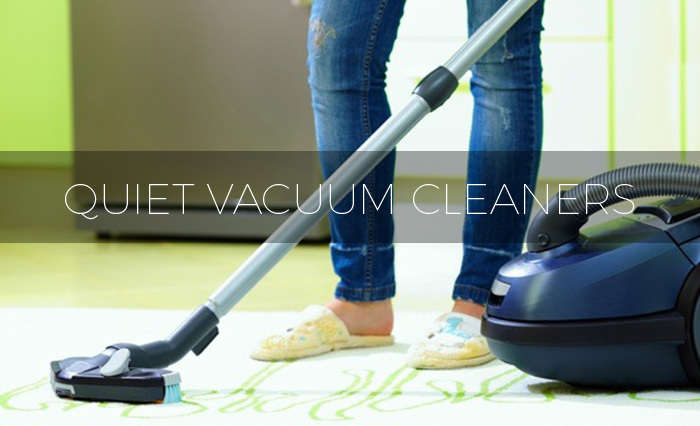 It comes with a cleaning brush to let you clean the unit. I like that this is considered a commercial grade coffee grinder at such a low price point. It is available in retail stores as well as online stores! You get to choose from 16 different grind settings and they are all so much quieter than many of the other models out there. This nifty coffee gadget is actually hand assembled in Switzerland, which is really amazing when you consider low how the price is for it. The components are all very high quality, though I do wish it used ceramic instead of steel. Grind settings range from Turkish coffee super fine grind to very coarse grind. The motor does the grinding slowly, which is why the noise from it is so much quieter than other models. It’s also worth noting that it comes with a measuring cup and cleaning brush. So, if you order online, do not be fooled into thinking that you need a separate brush unless you just want one. The grind is very consistent and you don’t have to worry about that coffee dust that some lower end models create when grinding beans. While I do think that you get a good value for the price, there is no denying that this thing is not as cheap compared to a lot of other grinders on the market. However, when you compare the noise level to those cheaper options, I think it is easy to see why this is really as low as you want to go in terms of the cheap choice. Another thing that I am not a fan of with this one is the size and amount of space that it takes up on my counter. Sure, it looks great on a granite countertop but it is about the same size as a coffee maker! This is probably due to the fact that the top can hold an entire bag of coffee beans. 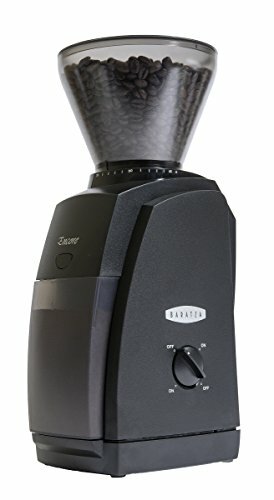 Baratza Encore coffee grinder would be a good option for coffee lovers who wish to own a coffee mill that produces coffee grounds with a consistent size and texture. This quiet coffee grinder is constructed from a robust plastic frame to serve you long. 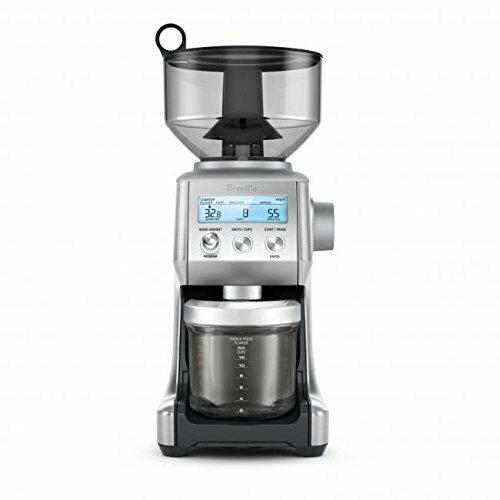 Different from most of its competitors, Baratza Encore coffee grinder utilizes a slow but high torque motor that can be regulated into 40 grind settings to give you the exact texture required for your coffee drink. 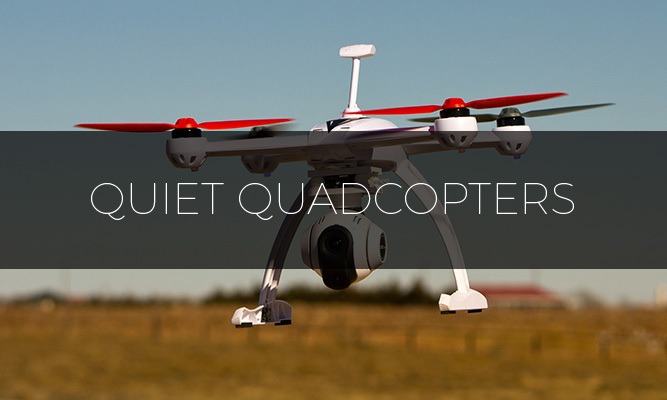 Besides its power, the motor also produces less sound, and it does not overheat even after a prolonged period of use. Baratza Encore coffee grinder measures 12 cm wide, 16cm long, and it stands 35cm tall, and it weighs 7 lbs. 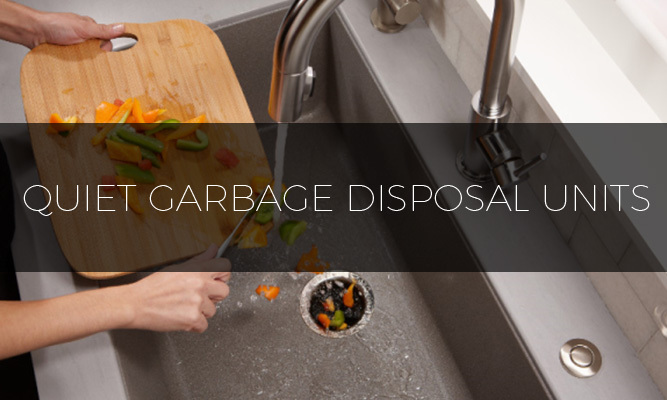 The compact size consumes less space in your kitchen while the lightweight let you carry it around comfortably. Hario Skerton’s ceramic coffee mill is another good option for people who wish to own a quiet, compact size and lightweight coffee grinder that they can use at home or while camping. The coffee grinder is constructed from high-quality glassware and plastic that can hold up for some reasonable time. The quiet coffee grinder utilizes powerful ceramic burrs to grind your coffee beans manually to the texture you need to prepare your favorite coffee drink. The ceramic burrs are sturdy enough to withstand the wear resulting from regular coffee grinding. Furthermore, the ceramic burrs will not overheat the coffee grounds even after using the coffee mill for a prolonged grinding session. Therefore, your coffee will not lose its natural aroma and flavor. Different from the electric coffee grinders that are dependent on electrical power, this coffee mill is operated mechanically. The feature lets you use your coffee mill during a power outage, when you are camping, or hiking off the grid. Like the high- end coffee grinders, Hario Skerton ceramic coffee mill lets you adjust the texture of the coffee grinds according to your needs. You would also want to buy it because it is dishwasher safe, and it is affordable. Nonetheless, you should handle this coffee mill with care since its glass frame can easily break if it falls. Breville smart coffee grinder is an intelligent coffee mill that is designed with premium features to provide unmatched control. The smart coffee grinder is constructed of stainless steel, a durable frame that can tolerate regular coffee grinding. The coffee grinder comes in brushed stainless steel, cranberry red, and black sesame finishes, letting you pick one that will look great on your counter. Breville smart coffee grinder uses stainless steel conical burrs that are strong enough to manage regular coffee grinding tasks. Besides durability, Breville’s steel burrs are also designed to minimize the grinding heat that can affect the quality of your coffee grind. Unique from all the coffee grinders that we have reviewed above, this smart coffee grinder supports 60 grind settings that let you produce the exact texture of coffee ground that you need to make your favorite drink. The coffee grinder’s inbuilt timer lets you adjust the unit’s grinding time according to the amount of grind that you need. A LED interface on this unit enables you to manage various grind settings like shot count, grind size, and grind time. You can program this smart coffee grinder with your favorite settings. 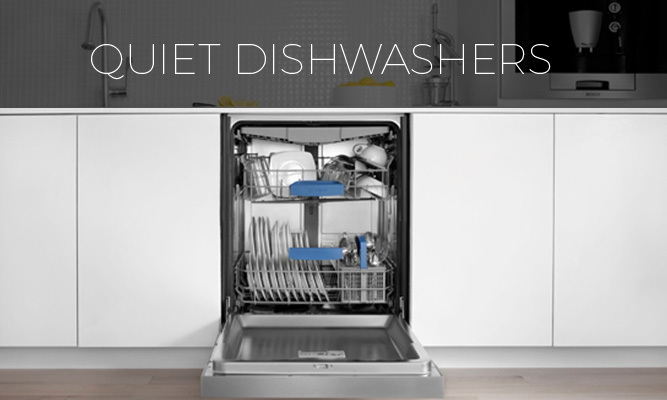 A one-year product warranty covers it. 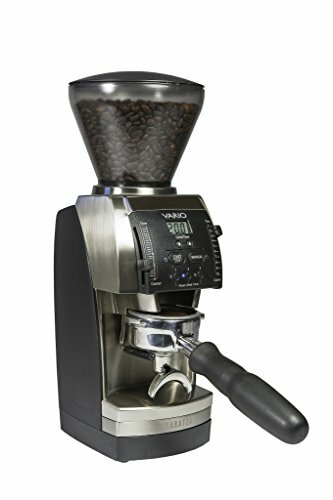 If espresso is your java weakness of choice, then my absolute favorite option for a quiet espresso coffee grinder is the Baratza Vario Ceramic Burr Coffee Grinder. If you’ve have been looking for the best quiet burr grinder for espresso, then I urge you to consider this one. This is like the Maserati of espresso bean grinders, which a matching price tag to boot. So yes, it is very expensive for an espresso grinder, but it is also very quiet and produces consistent grinds. really great as that espresso grind! I love that this thing is designed specifically for one type of grind. It’s like it knows what it is designed for and you don’t have to worry about it not working as advertised. I also like that this one has a small size compared to the larger option up above. I discovered that you can actually use it for more than just espresso as it has grinding settings that range from espresso fine to coarse ground. Ideally though, this is really only a good option for people who primarily drink espresso. Since this electric burr grinder keeps the noise level down by offering a slow grind instead of a fast one, it seems like it is noticeably slower. This may be a problem for people who are always running late for work. While it works fine for the other grinds, this really won’t be a practical choice for most people due to the fact that it is designed to put your coffee grinds into that little espresso spoon thingie. Bottom line: I think that this is the best espresso grinder that money can buy, if you have the cash to spend on it. 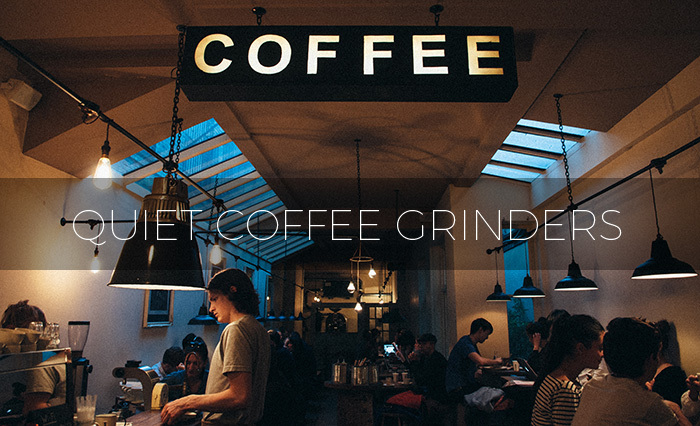 As you’ve probably already guessed, using a hand coffee grinder is the absolute quietest way to go here. 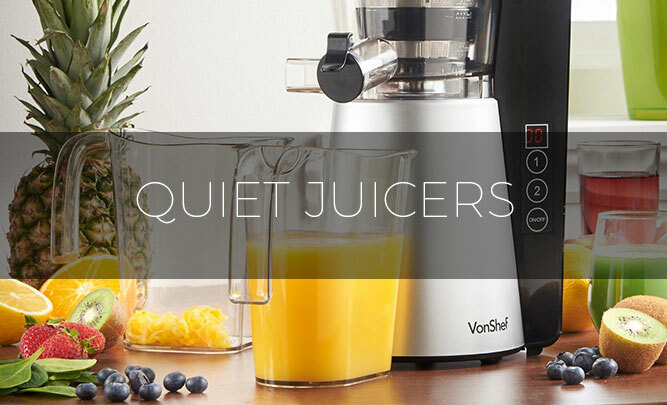 While you are safe picking pretty much any of them when you compare their noise level to an electric coffee grinder, the truth is that some of the manual models are quieter than others. Of those, the OE Pharos Manual Coffee Grinder is the probably the best quiet manual hand coffee grinder that I’ve tried so far. comes from Italy – and they take coffee VERY seriously! Check it out – this is an Italian made hand coffee mill that is actually hand built and numbered – this is not something that is mass produced by a factory in China. You get seriously high quality with this thing. I seriously love that about this one. And since you have to hand crank this baby, the noise level from it is very low. I was honestly surprised by how little sound came from it after testing it out. hand cranking takes some work! Though I really like this model a lot, it is not ideal for me. I am not a fan of all the effort that it takes to grind the beans by hand! Yeah, I might be a bit of a wimp, but I was not aware how much effort it was going to take before finding out first hand. Another ding on this one for me is the price – this hand coffee grinder is not cheap. In fact, it has a retail price of $245 and you only seem to be able to purchase it direct from the manufacturer or the UK-based Coffee Hit online store. That’s probably due to the fact that the item is not made until you actually order it. But, if you want the quietest coffee grinder ever, and do not mind that it is a hand mill, then this is really the only choice for you. 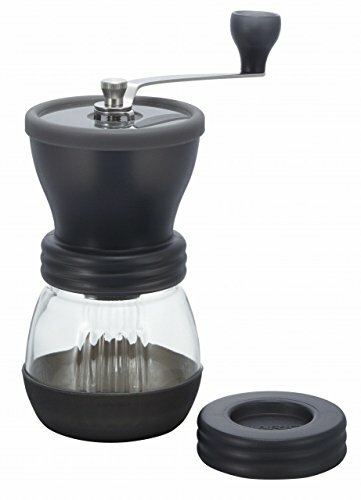 If you don’t want to spend the hundreds of dollars on the OE Pharos hand coffee mill above, then there is another decent option that I think is more budget friendly. 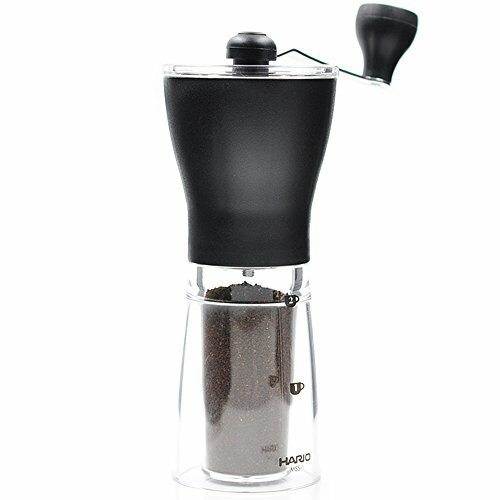 Check out the Hario Coffee Mill Mini for a pretty good option for a cheap, quiet manual coffee grinder. In fact, I think it is probably one of the cheapest quiet manual coffee grinder options on the market right now. This one probably offers the best value for the money since it is very quiet and often has a cheap price that should fit any budget. It has a sleek design so it looks great on your kitchen counter, but is small enough to store in a cabinet if you do not want to leave it sitting out all day. This is a ceramic coffee mill, which is important to note because it means that you not have to worry about it rusting on down the line. All the best coffee grinders are ceramic instead of metal. Probably the only bad thing about it is that the instructions only come in Japanese. But, you can usually find help online. With this one, you get a consistent grind but know that for the finest espresso grind it does take a little while to get it all ground. So, be prepared to put in a little elbow grease on this one.